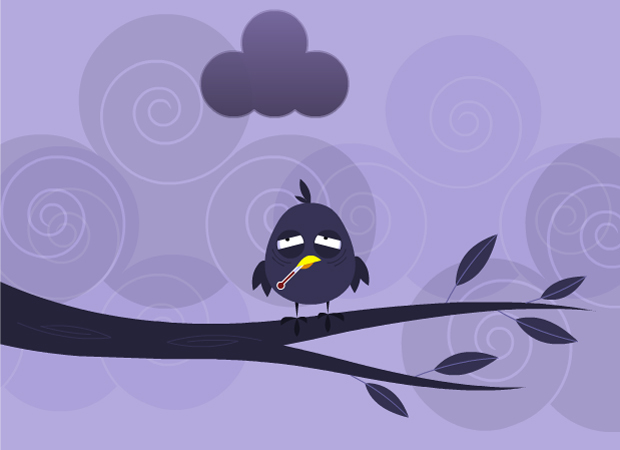 This get well soon ecard starts with a little birdy sitting on a branch. Unfortunately a storm cloud is hanging over its head. The poorly bird tries to move away from the cloud but it keeps following him. The birdy has a thermometer in its mouth and it is looking unwell. The bird put up an umbrella and the cloud zaps it with some lightning. Text then appears saying "Sorry to hear you're under the weather". This Get well soon ecard is a nice card to give an ill friend.